This time of year I'm all about hand-work projects -- binding, embriodery, cross-stitch, knitting, & English Paper Piecing. Any little project that I can take with in the car or can work on from under the warmth of a quilt. That last one is most important, from under the warmth of a quilt. Have I mentioned to you how COLD it is in Minnesota?! If you've been following along on Facebook or Instagram you may have noticed I've been working on a fun new English Paper Piecing project. 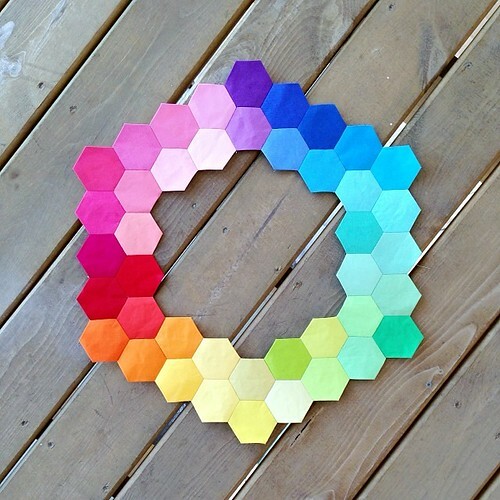 It all started with precut package of hexagons from Robert Kaufman in a wonderful rainbow of solids. I wanted to create a unique project using the hexagons and immediately decided upon English Paper Piecing. I really wanted to preserve the array of rainbow colors rather than mix them up, so this hexagon color wheel design was born. I love it! Each Hexagon was paper pieced & hand sewn together in to one complete hexagon ring. 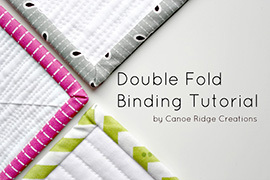 If you'd like to try English Paper Piecing, check out this post for more information & helpful tips! 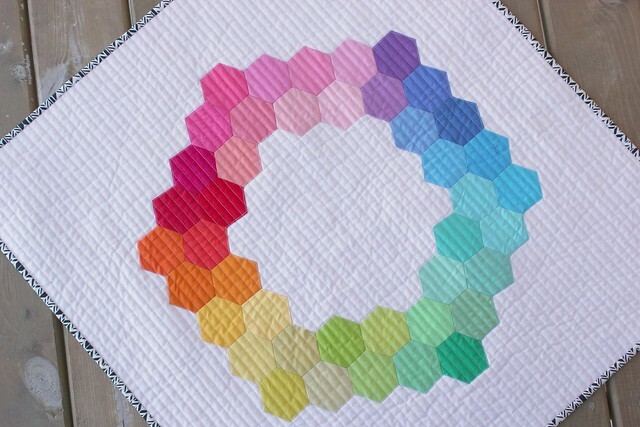 Once I had my completed hexagon ring I appliqued it onto White Kona cotton using a simple straight-stitch. The binding fabric is the black & white feather print from Alison Glass' Sunprints for Andover Fabrics. This print makes a fabulous binding, I can't wait to use it in more projects! What a wonderful quilt! I missed its dimensions. Love the rainbow effect you have created. 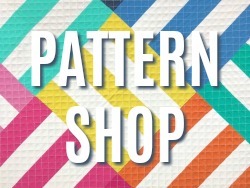 I invite you to link to Hexie Weekend to show off your creation. Ends Monday, midnight. Gorgeous! I am secretly in love with colour wheels, ha ha! Your hexy version is amazing!!! 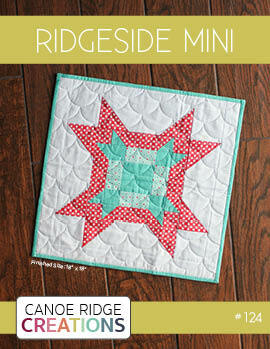 Hexagons are so versatile, it amazes me every time to see the new ideas quilters come up with! 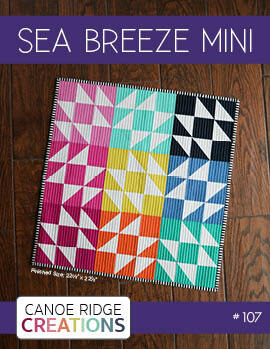 Your mini quilt is absolutely beautiful! Fabulous! I love it! 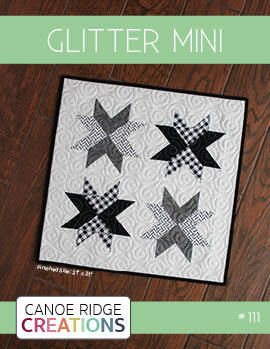 What size hexagons did you use, and what is the overall size of the quilt? I am always blown away by your quilting! You certainly have mastered this technique! Perfection! Love this! 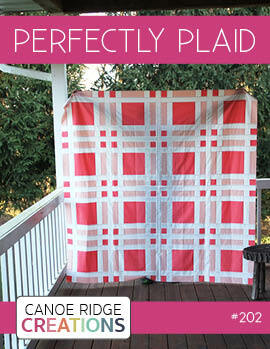 What a great addition to a (lucky) sewing room! The binding really sets it off. I love this! 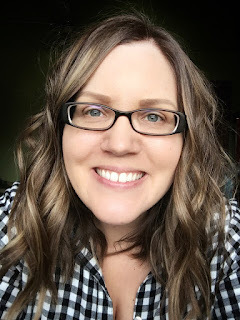 What a great addition to a (lucky) sewing room! The binding is perfect. I love this! 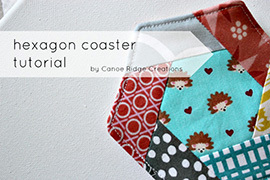 I have just started learning English paper piecing, and I might have to get this a whirl. I love this! I just started learning English paper piecing and I might have to give this a whirl. I have a stack of hexagons and didn't know what to do with them until now! 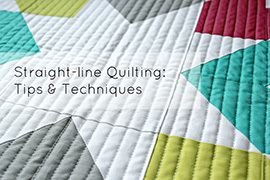 Beautiful job and straightline quilting is my favorite to do too! This is really lovely. Did you applique that onto the background? Lovely. Are these brights + pastels? 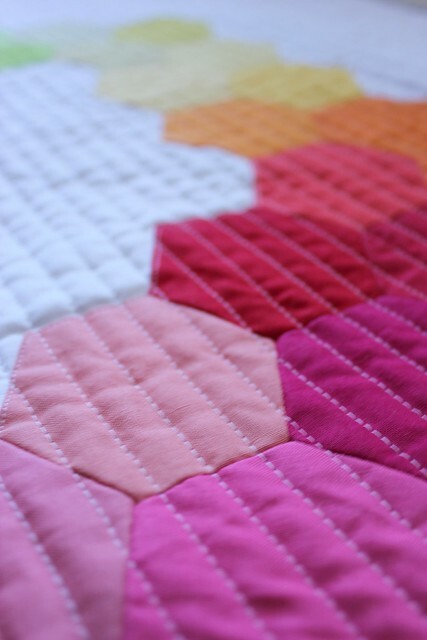 Thanks for your reply, the quilt looks like Spring! 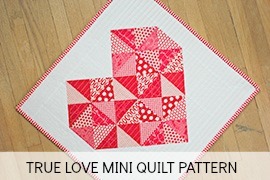 I LOVE this mini quilt. You have done a superb job and it's just exquisite. Oh, this just makes me sighhhh with happiness! I love everything about it. Thanks for the inspiration! Oh, this just makes me sighhhh with happiness! It's beautiful. Thanks for the inspiration! Love the binding choice! Great finish! Beautiful! Love that you made a ring out of the hexies so the Kona shows through the center. Lovely work! do you always use white thread? It looks great - also do you usually do a grid or just lines in one direction - how do you decide?